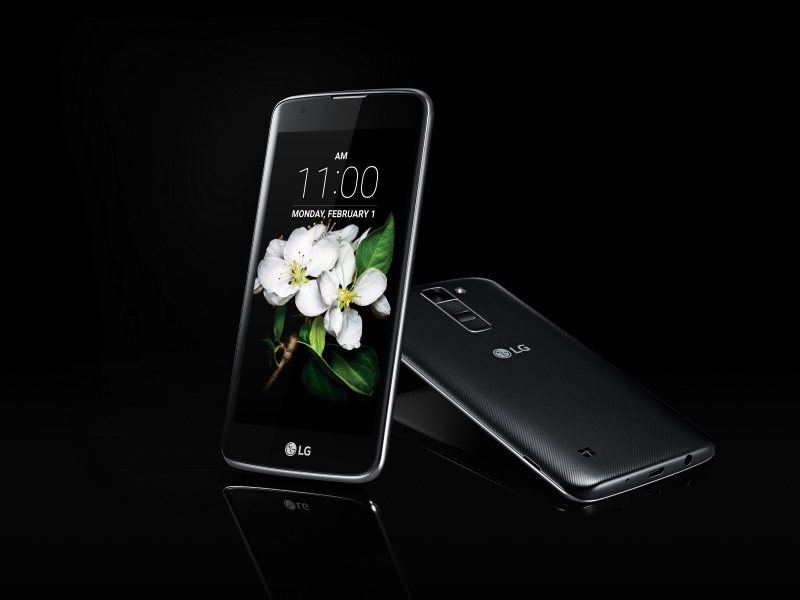 LG has launched the K7 LTE and K10 LTE in India, the company’s “first Made in India smartphones”. While the K7 LTE is priced at Rs. 9,500, the K10 LTE is priced at Rs. 13,500. The K-series of smartphones are touted by LG to sport photography capabilities as well as the ‘premium UX’ features they bring from higher-end devices. Some of the other features of the LG K10 LTE and LG K7 LTE smartphones include 2.5D Arc Glass design along with Gesture Shot, Tap and Shot, and Gesture Interval shot function for taking images. The LG K7 LTE (seen above) runs Android 5.1 Lollipop out-of-the-box and packs a 1.1GHz quad-core SoC coupled with 1.5GB of RAM. It bears a 5-inch FWVGA (854×480 pixels) resolution display. It bears a 5-megapixel rear camera; a 5-megapixel front-facing camera; 8GB of inbuilt storage, and 2125mAh battery. The 4G LTE version measures 143.6×72.5×8.9mm, and will be available in Titan, Gold, and White colours. The LG K10 LTE (seen below) is also an Android 5.1 Lollipop-based smartphone featuring a 5.3-inch HD (720×1280 pixels) resolution display. It is powered by a 1.2GHz quad-core Snapdragon 410 SoC coupled with 2GB of RAM. It sports a 13-megapixel rear camera along with a 5-megapixel front-facing camera. The smartphone is backed by a 2300mAh battery. It houses 16GB of inbuilt storage. The smartphone measures 146.6×74.8×8.8mm and will be arriving in three colour variants – White, Indigo, and Gold.